Is it getting cold where you live? Are you ready to snuggle up under a warm blanket with a hot cup of homemade soup? 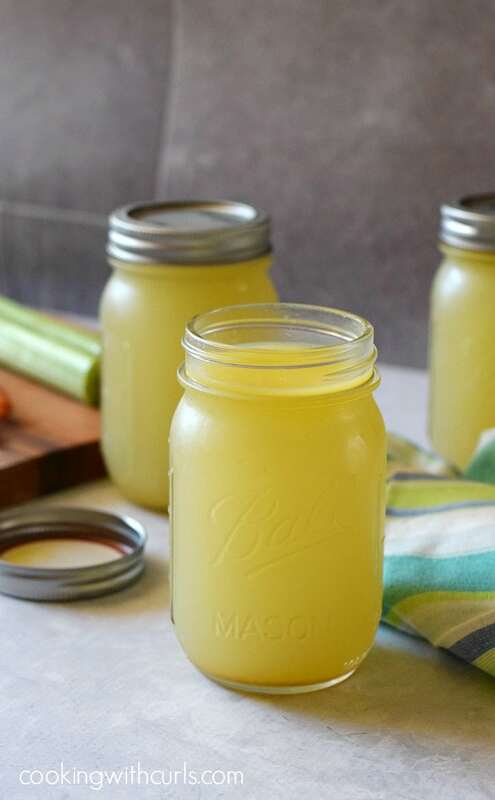 Nine times out of ten, your soup recipe is going to require broth or stock as a base. 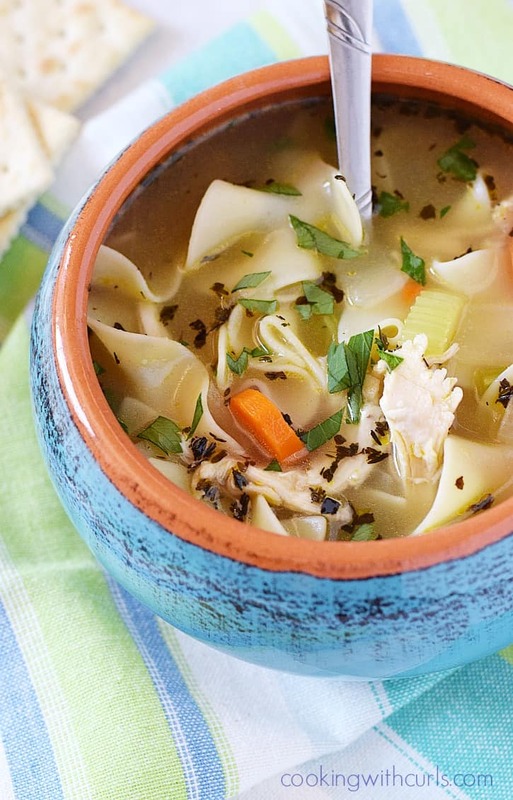 Why not make that homemade soup extra special by making it with Homemade Chicken Stock? Yes, it does take a bit of time, but it is oh so worth it…..
Now I’m not saying that there is anything wrong with Swanson’s organic chicken stock, I always have a couple of boxes stashed away in the pantry. But you just can’t beat the depth of flavor that you can achieve with a Homemade Chicken Stock. It’s not complicated at all, it just takes some time to cook. 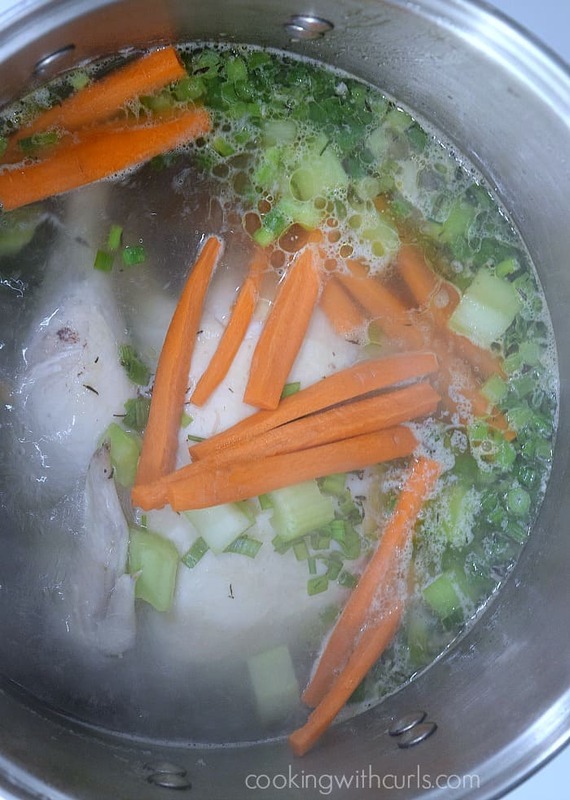 Place the chicken, peppercorns, salt, and water into a large stock pot…..
Bring to a boil over medium heat removing the scum/foam with a large spoon as necessary…..
Cover pot, reduce heat and simmer for one hour skimming frequently to remove additional scum/foam. Add the bay leaf, thyme, green onions, carrots, celery, and onion…..
cover and cook for an additional 2 hours and 30 minutes….. The chicken pretty much disintegrates after cooking for that long, which is a good thing, that’s where all of the flavor come from. 😉 Skim off fat and add additional salt and pepper if needed. 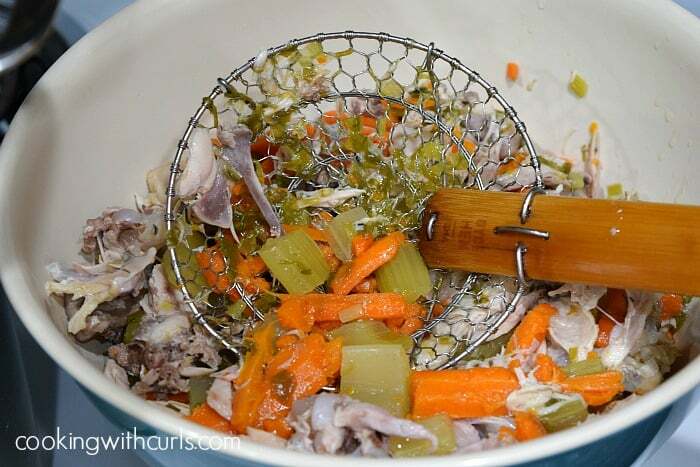 Remove the chicken and vegetables…..
Strain stock through folded cheesecloth or muslin into a large bowl…..
Pour into jars or containers and chill….. 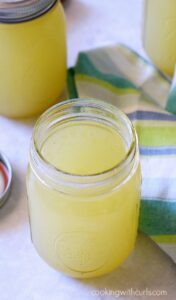 So, what is the difference between Chicken Stock and Chicken Broth? 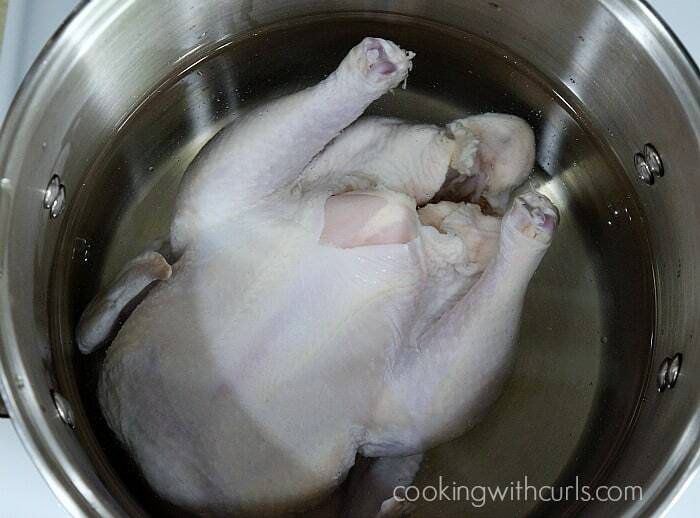 Chicken stock is made with bones, chicken broth is not. When you simmer bones for extended periods of time, they release gelatin which gives chicken stock a richer flavor versus creating a broth by using chicken breasts. So now you know. What are you going to make first? 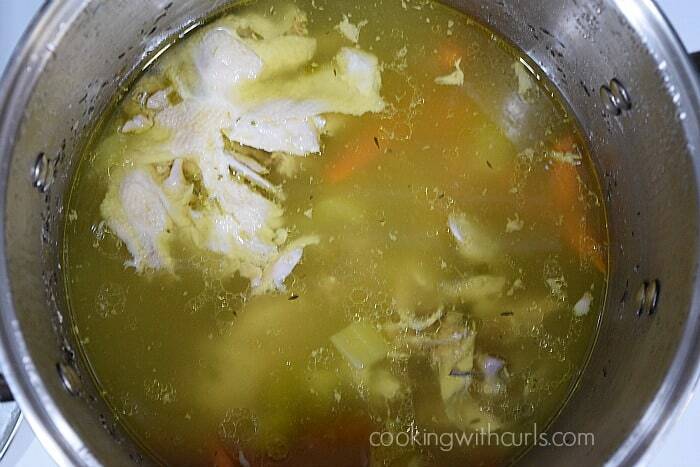 I made Homemade Chicken Noodle Soup…..
Place the chicken, peppercorns, salt, and water into a large stock pot. 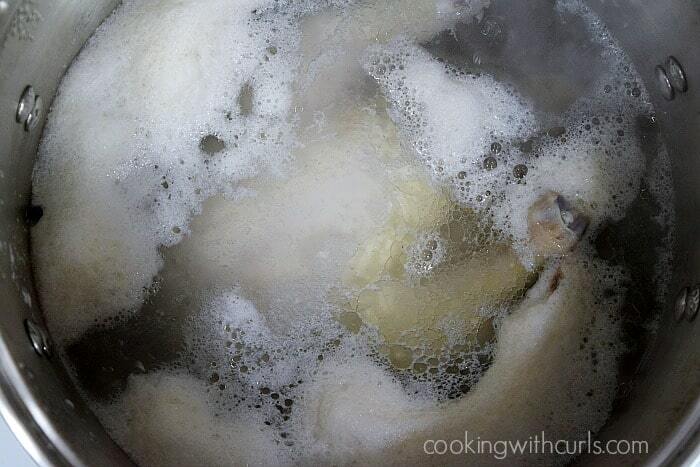 Bring to a boil over medium heat removing the scum/foam with a large spoon as necessary. Add the bay leaf, thyme, green onions, carrots, celery, and onion, cover and cook for an additional 2 hours and 30 minutes. Skim off fat and add additional salt and pepper if needed. Remove the chicken and vegetables. 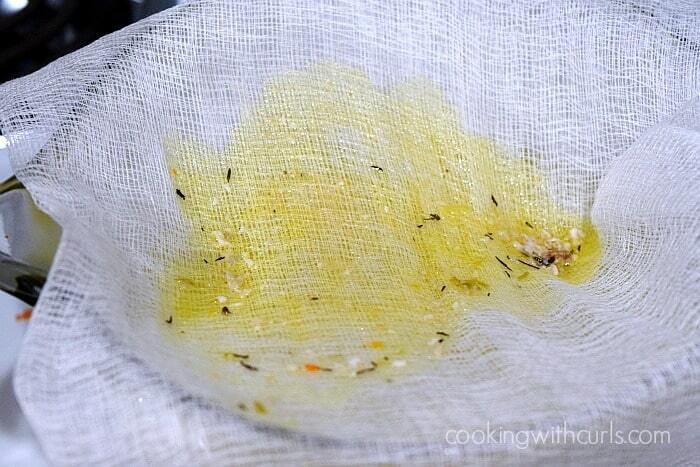 Strain stock through folded cheesecloth or muslin into a large bowl. Pour into jars or containers and chill. Remove fat before using.